I started using computers when I was ten years old, and since then I’ve spent many hours on a computer, typing, every day. I used to type very fast, but I never learned how to type correctly. Most people type incorrectly like and it puts a lot of stress on their fingers, wrists, and forearms. I’ve experienced pain in my fingers, wrists, forearm and I knew it was because of keyboard overuse but I never paid much attention to that because it was mild and wouldn’t happen too often. These symptoms, in my context, indicated I was suffering from a Repetitive Strain Injury (RSI). The term Repetitive Motion Injury (RMI) and RSI are used interchangeably. In 2014 I started to have tightness and mild pain in my forearms regularly. I woke up in the middle of the night a couple of times with my forearms cramping, and I had to stretch immediately to get relief and go back to sleep. After one terrible night, I woke up and I couldn’t get into typing position because my forearms would get cramps; I had to miss work that day. After that day, I decided to do some research and see what other people had done to treat RSI. The first and more obvious thing to do when you are in pain is to stop the pain. In my case, I had to stop typing for a couple of days and take regular breaks after I returned to typing. I also incorporated some stretches that I did every hour. I took Ibuprofen to reduce the discomfort too (it doesn’t help to heal the tissue, it only reduces inflammation but that gave me relief). 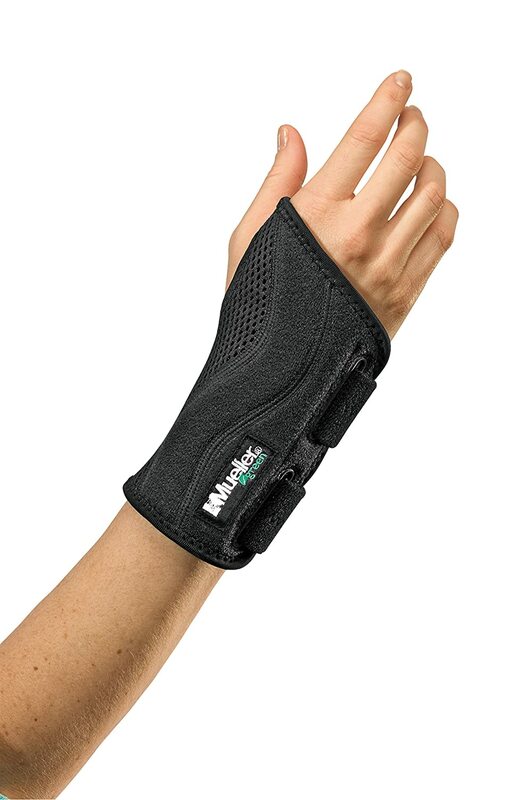 I ended up buying a pair of wrist braces to fix my wrist position and reduce stress when I moved my hands; I wore them at work and at home. I realized I’ve had typed incorrectly my whole life – that means that I didn’t use the “correct” finger for each key on my keyboard. I needed to learn how to type correctly, and a great way to force myself was by buying a split keyboard (the keyboard is split in half so you can’t use the right hand to type on the left half of the keyboard and vice versa). After some research, I bought an ergonomic keyboard that has helped my RSI tremendously and I recommend it highly. It took me more over a month to get used to it and type with a comfortable speed. 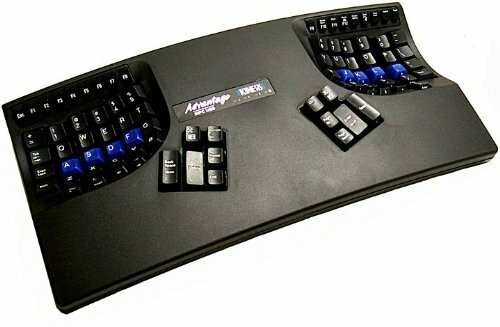 It’s been almost five years since the last time I had bad RSI symptoms, and I attribute most of it to my Kinesis Advantage Keyboard. It helps with your hand position and prevents you from typing incorrectly because each key has a different height – the key heights match the correct finger lengths; the deeper the key, the longer the finger that’s supposed to press that key. I have the first model but there’s a newer version, the Kinesis Advantage 2. I haven’t changed much of the key bindings and kept it as QWERTY. I re-mapped the Caps Lock key to be Control, enabled Mac OS compatibility (Control becomes Command and Alt becomes Option), and enabled and media keys (F3 is Previous, F4 is Play/Pause, F5 is Next). The mappings are in the firmware, not software, which is great because the keyboard works the same way on any device it’s connected to. The keyboard cost $350 but it was worth the investment. I asked my employer to pay for it and they were happy to do so. I bought a used one on eBay for my home office too. I have friends that bought other mechanical keyboards and are pain-free, so if you’re too afraid of the Kinesis Advantage, there are hundreds of other options out there, but I’d focus on ergonomic mechanical keyboards. I also switched from using a mouse to a trackpad. I noticed that with the mouse I stressed my wrists because I moved too much (bending left and right all the time). I then tried a trackpad and noticed I don’t move my wrists as much because of the limited surface area, so I kept the trackpad. My home trackpad broke recently and I’ve been using a mouse at home (I don’t use computers at home that much). There are some stretches you can do for relief and some forearm strengthening exercises for prevention, do your research but I’ve found that all variations of a wrist stretch worked for me but wrist flexion made it worse. And in regards to forearm strengthening, I’ve been doing deadlifts and pull-ups since 2013. Although they are not isolated exercises, over time they strengthen your grip & forearms. If you have RSI symptoms, do some research and pay attention to how you type, maybe just typing correctly is enough. I highly recommend you to buy an ergonomic mechanical keyboard and avoid typing on laptop keyboards at all costs.